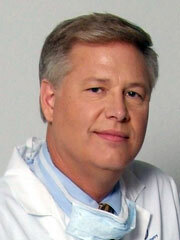 Robert H Gregg II, DDS graduated from Georgetown University Dental School in 1984. He maintains a private group practice in Cerritos, California in the same location for over 33 years. Dr. Gregg began using lasers in clinical practice in 1990 and has been at the forefront of dental laser technology innovation and adoption. He has lectured both nationally and internationally on the subject of clinical laser applications. In addition to authoring several peer-reviewed articles on the clinical applications of FRP Nd:YAG for endodontic and periodontal uses, he is an author of the "Curriculum Guidelines and Standards for Dental Laser Education," versions 1992 and 1998. Over many years of laser dentistry and the performance of thousands of procedures, he has gained an extraordinary understanding of laser/tissue interaction. Dr. Gregg obtained his Mastership and Educator's Certification in the Academy of Laser Dentistry, as provided for in the Laser Curriculum Guidelines. He was appointed as a peer-review member of the Dentistry Today CE Editorial Board and Leader in CE. A co-developer of the FDA-cleared PerioLase® MVP-7™ pulsed Nd:YAG laser, he also developed and patented the LANAP® periodontal protocol, which provides evidence-based dental care supported by two published human histological studies. The LANAP protocol has also received FDA clearance for True Regeneration. Dr. Gregg is an Adjunct Associate Professor at Rutgers School of Dental Medicine. 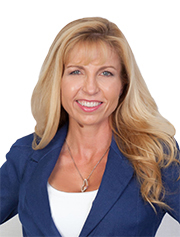 Dawn M. Gregg, DDS is a general dentist and has been using lasers since 2001, specializing in the LANAP and LAPIP protocols. She graduated from UCLA School of Dentistry with honors in 1993 and is a member of Omicron Kappa Upsilon Dental Honor Society. She is also a Certified Laser Instructor and Training Director for the Institute for Advanced Laser Dentistry (IALD); teaching other dentists the properly calibrated protocol. "As a fourth-generation dentist in my family after my father, grandfather and great-grandfather, I have had fine examples of what it means to be a talented, dedicated health care practitioner in an honorable profession," says Dr. Dawn. "Including one hygienist, I am the last in a line of nine dentists in the family...so far! I wanted to become a dentist ever since I was 16 years old, after working in my dad's dental office. I loved the beautiful combination of patient care, social interaction, the study of health and science, and the artistry of using my own two hands." Dr. Dawn Gregg has extensively lectured nationally and internationally and published on the subject of the LANAP® procedure and the clinical laser applications of the PerioLase® MVP-7™. Dr. Dawn recently published the SPIE article on the LAPIP™ protocol entitled, "Pulsed Nd:YAG Laser Treatment for Failing Dental Implants Due to Peri-implantitis" and has orchestrated a Multi-Center Clinical Study in the role of LANAP® Clinical Study Monitor.